Since its inception in 1845, the Hamilton Chamber of Commerce has served as an anchor institution and the definitive voice of the local business community. Throughout its history, the Chamber has played an important role in bringing together business and community leaders to advocate at all levels of government for policies that further enhance the social and economic prosperity of our city. Our predecessors helped build this city, advocating early for its electrification and “sewerfication”, supporting the development of a vibrant trade and goods movement sector, and leading the efforts to bring McMaster University to Hamilton. The Chamber’s Advocacy efforts are reflective of the priorities of our membership and wider business community, further developed through professional expertise of volunteers on our Policy and Advocacy Council and Task Forces and finally, implemented by Chamber staff through their day to day engagement with Governments and the wider Chamber of Commerce network in Canada. In 2017, the Chamber launched a membership engagement process, with the goal of identifying the key priorities of our 1,000 members. An essential component of the strategy was the distribution of a policy survey among our membership, which we circulated from April 24th to May 15th, 2017. Based on member survey responses, the Chamber then convened a series of focus groups during 2018. The focus groups aimed at formally engaging key sectors within the Chamber membership to further explore concerns raised within the membership survey and to develop recommendations. Towards the end of 2018, PAC developed six priorities for the Chamber’s advocacy agenda moving forward. You can find these priorities listed below. We thank our members who participated in the initial surveys, along with those who joined our issue-specific focus groups, for their valuable feedback. Reduce government red tape and the cumulative regulatory burden to which all three levels of government add to businesses operating in Hamilton, in Ontario, and in Canada. Ensure Hamilton’s manufacturing and agrifood sectors remain competitive by addressing challenges facing business supply chains, talent recruitment, and the cumulative costs of regulation. Advocate for further investment in transportation infrastructure and public transit, to promote business competitiveness. Accelerate Hamilton’s emergence as a truly Digital City, by promoting internet access through building digital infrastructure and developing strategies to address talent attraction and retention in the local technology sector. Cultivate Hamilton’s competitive advantage by using our place-based assets to attract new investment and support existing businesses. Relevant advocacy initiatives include the completion of B-Line LRT, red tape mitigation to encourage urban density and construction, addressing housing affordability, implementation of complete streets, and encouraging commercial district revitalization and neighbourhood renewal. 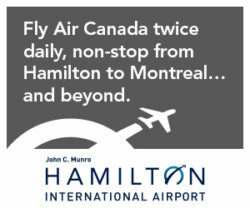 Continue to serve as the voice of Hamilton’s business community to all levels of government. Provincially, while we have a strong relationship with our local MPPs, while working closely to support and influence the priorities of the Ontario Chamber of Commerce. Federally, the Canadian Chamber of Commerce plays a very similar role. In addition to occasional travel to Ottawa to deliver testimony to government, we actively participate on multiple policy committees of the Canadian Chamber, annual advocacy campaigns and in the submission of policy resolutions that reflect our priorities as a community. In addition to our focus on municipal policy affairs, the Chamber has also worked closely with counterparts at the Ontario Chamber of Commerce (OCC) and the Canadian Chamber of Commerce (CCC) to amplify our advocacy efforts supporting local businesses and enhance the economic development opportunities and investments in the region. 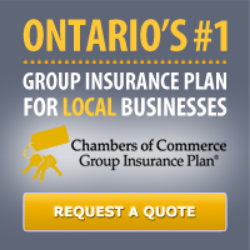 Each year the Chamber submits policy resolutions at the Ontario and Canadian Chamber of Commerce Annual General Meetings. These resolutions then become part of the advocacy agenda for both organizations. In 2016, the Chamber played a leading role in developing policy submissions related to cumulative regulatory burdens, infrastructure investments, health sector transformation, climate change and electricity prices. This year the Chamber also partnered with the Windsor and Sault Ste. Marie Chambers of Commerce, and the Canadian Steel Producers Association, to produce a comprehensive policy resolution titled “Supporting the Canadian Steel Industry and its Supply Chain Clusters”. The resolution achieved a strong profile in the media and was well-received by the OCC, CCC and several key federal and provincial ministries. Established in 2012, the Chamber’s LRT Task Force is a multi-sectoral group representing diverse interest groups, including the local business community, academic institutions, and the public sector. Since its inception, the LRT Task Force has played an active role in supporting a strong business case for the LRT and building a coalition of support from vested stakeholders. In 2016, the Task Force submitted a letter to the LRT Project Team requesting an LRT stop at Bay Street and began working with Metrolinx and the impacted BIAs to begin developing a program that will help mitigate the impacts to the lower city business community. Developing and disseminating risk mitigation tools and support networks for impacted businesses and communities. Over the last few years, the Chamber has increased its efforts with key stakeholders to attract, train and retain qualified labor talent within Hamilton. As part of this work, the Chamber has aligned with some of Hamilton’s leading employers to implement a new, innovative initiative called the “Magnet” job portal. Magnet has partnered with post-secondary institutions, the Ontario Chamber of Commerce and numerous other stakeholders to ensure that there is robust demand (jobs) and supply (talent) to put this revolutionary job matching technology to the test. In 2016, through our involvement on the Mayor’s Blue Ribbon Task Force on Workforce Development, the Chamber and key partners presented the Magnet initiative to the assembled stakeholders and received their support to create a single Hamilton jobs portal. The initiative was subsequently endorsed by Hamilton City Council. The Magnet consortium of partners has secured seed funding and is working towards full operational rollout in 2017. How can members be involved? 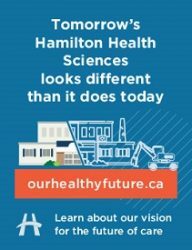 The Chamber continues to play an essential role as an advocate of the business community on the City of Hamilton’s “Open For Business Sub-Committee”. The Chamber utilizes its membership on the Sub-Committee to voice ongoing challenges faced by local businesses in navigating City Hall’s regulatory and permissions processes. A new Chamber-appointed Ombudsman has been established to serve as a direct conduit between members and City Hall, and a formal process that will allow members to work with City Hall will be created in 2017.